In England, Hilary Mantel’s award-winning novels Wolf Hall and Bring Up the Bodies are now on stage, and with the productions comes a revival of “lethal Anne” (The Daily Mail,) described in various reviews as a “sharp-toothed vixen” (The Guardian)”vile and manipulative” (The Telegraph) and so “spitefully ambitious” that “one feels any king would be justified in beheading” her (The Morning Star.) 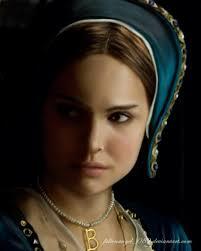 She’s a bit player in Mantel’s fictional world, which stars Thomas Cromwell, but a familiar one. From the letters of Anne’s earliest political enemies to Philippa Gregory’s sister from hell in The Other Boleyn Girl, the lethal, calculating social climber has been our default Anne Boleyn, who—like Freddy Kruger in the Halloween thrillers—just won’t die. Just what is so enduringly appealing about malicious Anne? The “femme fatale” is a long-standing archetype in many cul­tures, of course, and Anne is only one of many: Eve, Delilah, Salome, Jezebel, the sirens, Medea, Cleopatra, Morgan le Fay, Vampira, the Dragon Lady, and all their various incarnations and evil sisters in my­thology, novels, fin-de-siècle painting, film noir, and television soaps. Camille Paglia, in Sexual Personae, fol­lows Freud and Nietzsche and argues that she is “one of the most mesmerizing of sexual personae,” who will always have a cultural presence. And there is no denying that there is something delicious about characters that act out the mean girl (or, for men, the imagined girlfriend from hell) in all of us. Like Scarlett O’Hara, lethal Anne discharges parts of the self that most of us are afraid to put into public scrutiny. Actually, it’s worse than ho-hum. To call out sexual stereotyping is derided as “politically correct,” old-fashioned, and chip-on-the-shoulder feminism. When I remarked (to a writer who will remain un-named) how cartoonishly fatale Mantel’s Anne seemed, she chastised me for “expecting Cromwell to behave like a twentieth century feminist.” No, it’s rather that I expected as talented a writer as Mantel—and one who says she operated as the “history police” as her novels were adapted into plays—to press her imagination into the service of the historical Cromwell’s relationship with Anne rather than sprucing up the same-old mean girl and putting her in Cromwell’s mind. Does this mean that I view “the real” Anne Boleyn as a helpless innocent with no ambitions or nasty thoughts? That description would apply to no one over the age of one. And actually, we know very little about what Anne’s character or motivations were really like, for Henry, who loved to re-write history along his choice of wife, destroyed her letters, portraits, and just about everything he could lay his hands on that testified to Anne’s existence. What remains is a patched together narrative that variously reflects the biases of staunch enemies or idealizing rehabilitators of her image. The fact is, however, that she would not have to be so constantly defended if we didn’t keep returning to the default vixen. Surely the choice between “victim” and “villainess,” while it has dominated the history of representations of Anne, is a silly one that it is time to resist. A Note on this selection: The following is taken from a much longer chapter. Since part of my argument about the letter is based on comparisons with Anne’s speech at her trial, that’s where I’ve chosen to begin the selection. Please do not quote or cite without my permission. Thanks!! Susan. Anne’s emotional vacillations—from terror to prayerful resignation to black humor (speculating, the night before her execution, that her enemies would remember her as “la Royne Anne Sans Tete”) suggest that the strangeness of what was happening to her was at times impossible for her to assimilate. Just a few short months before, she had been pregnant. Just a few weeks before, Henry had been insisting that the Spanish Emperor acknowledge the legitimacy of their marriage. Now she was in the Tower, condemned to death. Her fortunes had turned around so swiftly and extremely, it must have been difficult to keep a steady grip on reality. Yet she managed, at her trial on May 15, after nearly two weeks in the Tower and the certain recognition, after the verdicts of the men accused with her, that she would be found guilty, to summon her renowned pride and dazzling confidence for the grim occasion. Your Grace’s displeasure and my imprisonment are things so strange to me, that what to write, or what to excuse, I am altogether ignorant. Whereas you send to me such a one, whom you know to me mine ancient professed enemy (Cromwell); I no sooner received this message by him, than I rightly conceived your meaning; and if as you say, confessing a truth indeed my procure my safety I shall, with willingness and duty, perform your command. But let not Your Grace ever imagine your poor wife will ever be brought to acknowledge a fault where not so much as a thought ever proceeded. 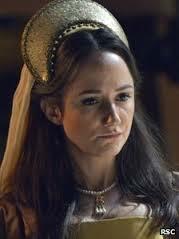 And to speak a truth, never a prince had a wife more loyal in all duty, and in all true affection, than you have ever found in Anne Boleyn – with which name and place I could willingly have contented myself if God and Your Grace’s pleasure had so pleased. Neither did I at any time so far forget myself in my exaltation, or received Queenship, but I always looked for sucher alteration as I now find; for the ground of my preferment being on no surer foundation than Your Grace’s fancy, the least alteration was fit and sufficient, I knew, to draw that fancy to some other subject. You have chosen me from a low estate to be your Queen and companion, far beyond my just desert or desire; if then you found me worthy of such honor, good Your Grace, let not any light fancy or bad counsel of my enemies withdraw your princely favour from me, neither let that stain – that unworthy stain – of a disloyal heart toward your good Grace ever cast so foul a blot on me and on the infant Princess, your daughter, Elizabeth. Try me, Good King, but let me have a lawful trial, and let not my sworn enemies sit as my judges; yea, let me receive an open trial, for my truth shall fear no open shames; then shall you see either mine innocency cleared, your suspicions and conscience satisfied, the ignonimy and slander of the world stopped, or my guilt openly declared. So that whatever God and you may determine of, Your Grace may be at liberty, both before God and man, not only to execute worthy punishment on me, as an unfaithful wife, but to follow your affection already settled on that party (Anne new of Henry’s affection for Jane Seymour), Mistress Seymour, for whose sake I am now as I am; whose name I could some good while since have pointed unto: Your Grace being not ignorant of my suspicions therein. But if you have already determined of me, and that not only my death, but an infamous slander, must bring you to the joying of your desired happiness, then I desire of God that He will pardon your great sin herein, and likewise, my enemies, the instruments thereof, and that He will not call you to a strait account for your unprincely and cruel usage of me at His general judgement-seat, where both you and myself must shortly appear; and in whose just judgement, I doubt not; whatsoever the world think of me; mine innocency shall be openly known and sufficiently cleared. My last and only request shall be, that myself may only bear the burden of Your Grace’s displeasur, and that it may not touch the innocent sould of those poor gentlemen, whom, as I understand, are likewise in strait imprisonment for my sake. 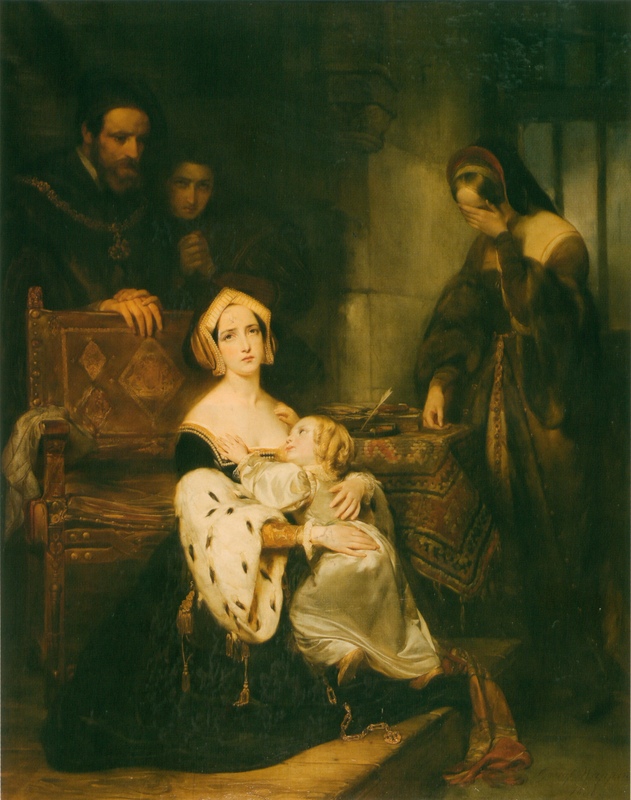 If ever I have found favour in your site – if ever the name of Anne Boleyn have been pleasing in your ears – then let me obtain this request; and so I will leave to trouble Your Grace no further; with mine earnest prayers to the Trinity to have Your Grace in His good keeping and to direct you in all your actions. From my doleful prison in the Tower, the 6th of May. Most of Anne’s modern biographers believe this letter to be a forgery, in part because it is so daringly accusatory of Henry and in part because the “style” is not like Anne’s. “It’s ‘elegance’,” writes Ives, “has always inspired suspicion.” (p.58) Well, not always. Henry Ellis and other nineteenth-century commentators believed it was authentic. And the “syle” argument is an odd one, because we have so few existing letters of Anne’s and they are such business-like affairs, that it’s hard to see how anyone could determine a “style” from them. If Henry had saved her responses to his love letters, we might have a better idea of what Anne was like as a writer, but they were destroyed. As it stands, though, we do have the account of her speech at her trial, and it exhibits many of the same qualities as this letter. In both, Anne stands her ground bravely and articulately, but more strikingly, goes beyond the conventions of the time to venture into deeper “psychological” and political territory: the insight into her lack of humility, the inference that this might have had something to do with her fall from grace, her reference to the “bewilderment” and “strangeness” of finding herself accused of adultery and treason. As to the letter’s bold attitude toward Henry, this was characteristic of Anne, and (as she acknowledged in her trial speech) she was aware that it overstepped the borders of what was acceptable. Her refusal to contain herself safely within those borders was what had drawn Henry to her; she could not simply turn the switch off when it began to get her in trouble. To do that would have been to relinquish the only thing left to her at this point: her selfhood. Ives says that it would “appear to be wholly improbable” for a Tudor prisoner to warn the king that he is in imminent danger from the judgment of God. But Anne was no ordinary prisoner; she had shared Henry’s bed, advised and conspired with him in formulating divorce strategies, debated theology with him, given birth to his daughter, protested against his infidelities, dared to challenge Cromwell’s use of confiscated monastery money. Arguably, it was her failure to do the “probable” things—the things expected of an obedient Tudor queen–that contributed to her downfall. Now, condemned to death by her own husband, to stop “being Anne” would have been to shatter the one constancy left in the terrible “strangeness” of her situation.